Úll̓us Childcare Centre provides a variety of programs to serve the needs of the community today and into the future. Traditional values, arts and crafts and Ucwalmícwts language training are vital parts of a curriculum that emphasizes respecting and nurturing each child’s uniqueness and helping them to reach their potential in all areas of development. 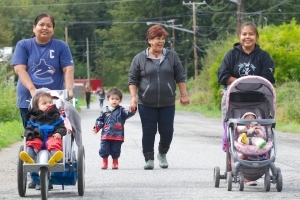 With a capacity for 31 children, more than 100 families use Líl̓wat Nation childcare services annually. The centre’s certified, caring and expert 11-member staff delivers programming that applies the concept of Nťákmen (Our Way) to early childhood education. Families can be confident that their child is receiving quality care and early education that builds self-esteem, teach skills and helps determine positive outcomes in elementary school. Additionally, after school care is available for children aged six to 12 years old. No matter what the child’s age, dedicated childcare professionals create an environment that supports learning and creative play while celebrating the culture of the Líl̓wat Nation. Úll̓us Childcare Centre programs operate Monday thru Friday, from 8 am to 5:30 pm. A day at Úll̓us Childcare Centre features hot lunches, healthy snacks and a physical fitness program that uses Úll̓us Community Complex gym, playgrounds and nature walks to increase body awareness and promote healthy habits. Qualified Líl̓wat7úl staff members teach Ucwalmícwts, traditional crafts, stories and songs. 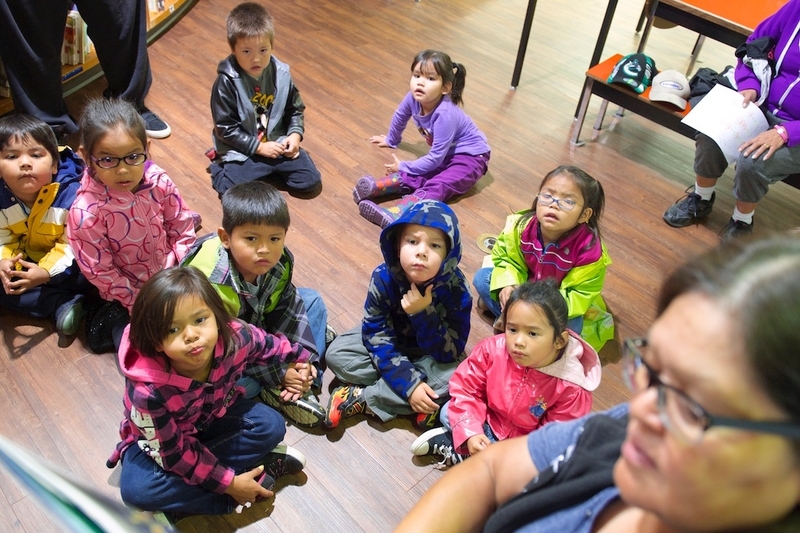 Moe the Mouse Speech and Learning Program and the High Scope child play-based learning model are employed to ensure best outcomes for the children of the Líl̓wat Nation and surrounding communities. And every year, the centre hosts the Celebrating Our Children event that emphasizes activities to make life easier for families with young children (infants to six-year-olds). Learning opportunities for parents include menu planning, budgeting, creating family night activities and ensure ensuring hygiene to help foster/nurture early childhood development and healthy growth for the children of the Líl̓wat Nation. Two pre-kindergarten programs are offered at the Úll̓us Childcare Centre. These programs have 31 spaces available for children from within and outside of the community. An exciting and stimulating program for toddlers up to three years old. This program creates days filled with fun and adventure for children aged three to five years old. Childcare Services is excited to announce new programs are being developed to serve the needs of older children and teens in the community. Please watch the website’s news and events section for information about the launch of these programs. Elementary school age kids, 6 to 12 years old, can take part in this fun, new after school program being created for the Úll̓us Community Complex. A new program is being developed to offer fun and social opportunities to teens aged 12 to 18 years old a few times a week. To register for a Úll̓us Childcare Centre, please contact the centre through thr Úll̓us office switchboard at 604.894.6115. The Úll̓us Childcare Centre participates in Vancouver Coastal Health Authority Licensing Requirements, annual inspections, publishes a regular community newsletter and offers its clients support in filling out childcare subsidy applications forms.